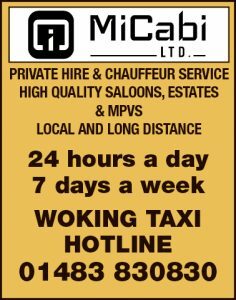 FOOTBALL: On-loan Chelsea goalkeeper Nathan Baxter was the pick of the bunch at Woking’s end of season awards dinner last Saturday at The Laithwaite Community Stadium. 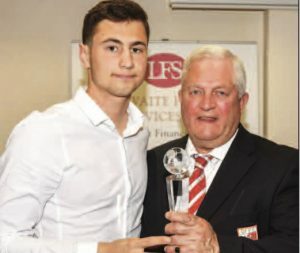 The highly-rated shot-stopper, still only 19, received the club’s Player of the Year award and The Cards Trust Player of the Year award from director and club secretary Geoff Chapple and long-serving Trust board member Alan Barnes respectively. Baxter was also the News & Mail’s Player of the Season.